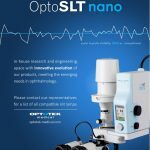 The OptoSLT nano is a new laser technology that is superior to existing SLT devices on the market. It offers very high pulse to pulse stability (±2.5%). 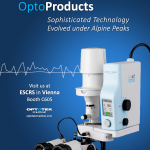 By reducing laser pulse duration to 1 ns without compromising efficacy outcomes, this new technology permits faster (up to 5 Hz) and safer SLT procedures (improved pulse energy repeatability during SLT). 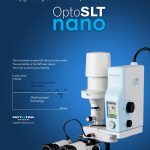 With a compact, highly portable design, the OptoSLT nano is an ideal addition to every doctor’s practice. 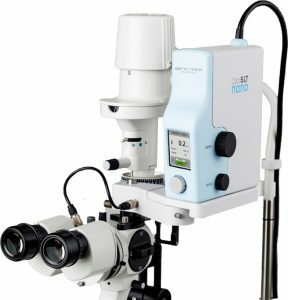 The device’s energy levels range from 0.2 to 2.0 mJ and its red diode 635 nm aiming beam ensures precise focusing for highly predictive and effective treatment each and every time.